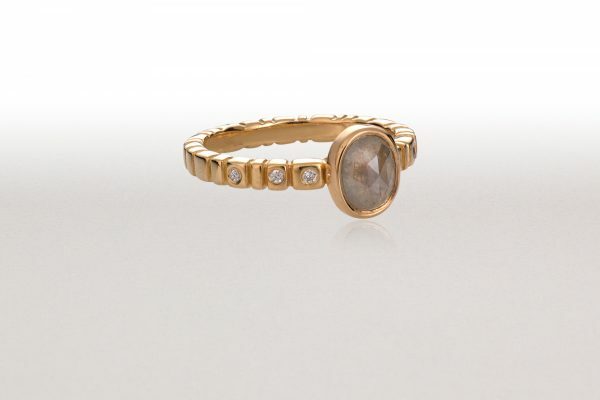 This 18k gold ring is set with a rose-cut grey diamond and diamond accents. 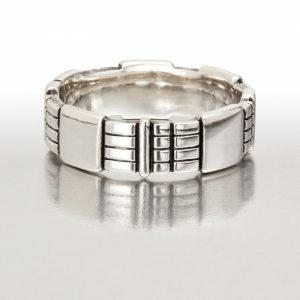 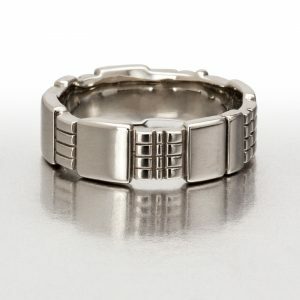 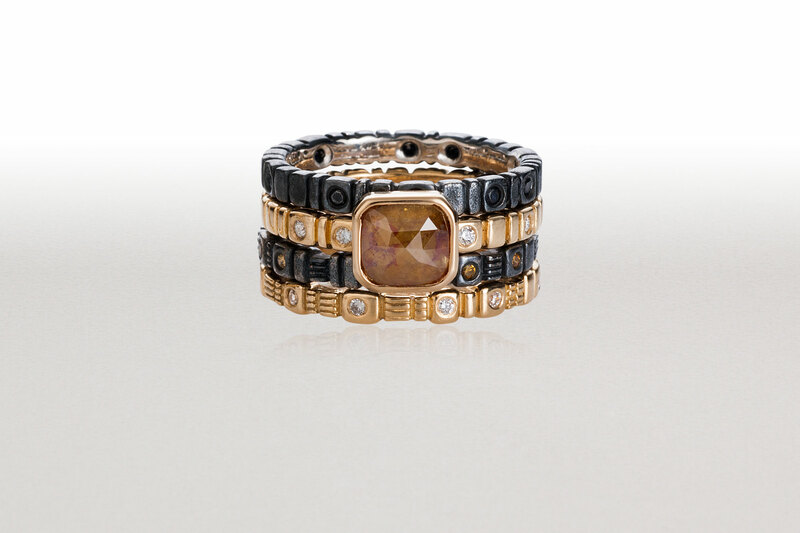 Wear it alone or stacked with other rings. 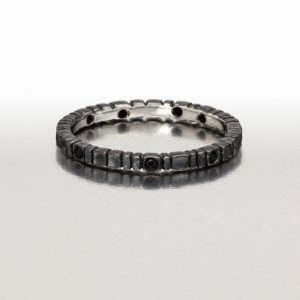 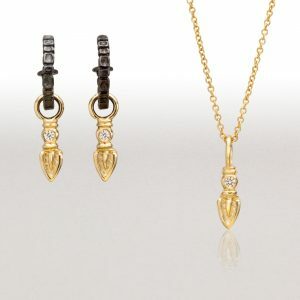 Oval rose-cut grey diamond is bezel-set and accented with 6 diamonds.